Bible Society exists because millions lack the Bible in a language they can understand, in a form they can use or at a price they can afford. Bible.org is a group of Christians with a shared vision and purpose. It is made up of men and women from all walks of life, e.g. scholars, pastors, teachers, students, housewives, etc. from all across the globe whose heart is to share what they have been freely given with others. In 1989, retired sea captain Warmolt Houwing discovered an illustrated Bible story book, entitled “He Lived Among Us”. He obtained the copyrights and started giving the books away to fellow seamen in the Port of Antwerp. Giving away these books has since become his mission in life. The total printed is now 18 million books in 27 languages. The Scripture Union is a non-denominational, Christ-centred international movement, founded in 1867, working in partnership with individuals and churches across the world. Our aim is to use the Bible to inspire children, young people and adults to know God. To achieve this aim, we work in a variety of areas in obedience to our Lord Jesus Christ and in reliance on the Holy Spirit. An exciting new opportunity to meet God each day through the Bible and prayer. Take God’s Word everywhere you go! FREE! Bible-based resources for Christian groups in schools, with a wealth of activities and ideas. SGM Lifewords began in 1888 as Scripture Gift Mission. The founder, printer William Walters, was concerned with making the Bible accessible and freely available to all. Today SGM Lifewords is a member of a global family of organisations, partnering together with the common goal that the Bible’s life words are seen, heard, and experienced as an essential part of everyday life, work and worship. Through our websites, Eden.co.uk and Christian.co.uk, we curate vast amounts of Christian content, using what we learn from almost 3 Million visitors each year to make it available to people everywhere in the most helpful way possible. Through online community and social networking we help Christians across 151 countries connect with and grow with one another…to the Glory of God. The Tabernacle Bookshop is a reformed Christian bookstore with a large selection of reformed Christian books including many by Tabernacle pastors C H Spurgeon and Peter Masters. It is fairly unique among UK Christian bookshops in that all the Christian books stocked are vetted and recommended not only for soundness, but also for positive usefulness. We have a large mail order service dispatching Christian books all over the world. What’s in a book? A book can challenge and inspire. It can teach and inform. It can confront people with an invitation to know God. And it can provide a vital guide for Christians on their Spiritual journey. It was this conviction that that led two ladies to set up their Christian bookshop in 1957. We believe that Books Change Lives. 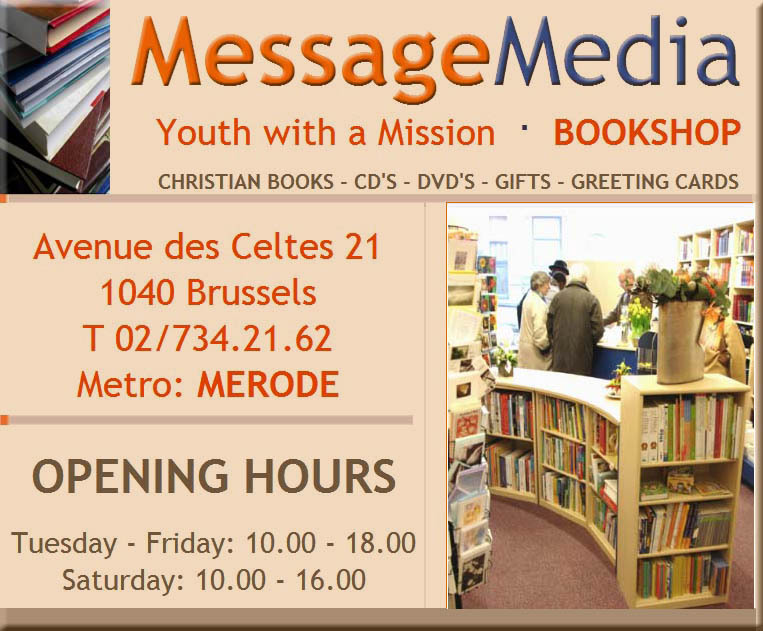 You will find that you can easily search for books on this site and there is no problem with delivery to Belgium. The Leprosy Mission Books etc. TLM Trading Limited is an international Christian development organisation, trans-forming and empowering the lives of people affected by leprosy. Our goal is to eradicate the causes and consequences of this disease. Our main aim is to help raise awareness of The Leprosy Mission and its work and to raise funds to support its projects. We do this indirectly through the sale of our products online and in our four catalogues a year. We also do this directly through our Gifts for Life range, which last year combined with donations added to orders, raised a magnificent £369,000. Furthermore, we directly support our artisan groups, by selling their products to help provide them with the social and economic status that allows a dignified life. Eddie Askew, with his wife Barbara, worked in India for fifteen years with The Leprosy Mission. Later he became the charity’s International Director and travelled widely in five continents. He is also one of the UK’s best-selling Christian authors, illustrating his own books. See more. Hillsong Conference is all about championing the cause of THE Church of Jesus Christ — across every nation, denomination, age and background. Hillsong Conference is about being refreshed and inspired and finding great strength and unity amongst the diversity of the local church worldwide. The annual Keswick Convention has been taking place since 1875, offering something for everyone with life-changing Bible teaching, worship and fellowship, with separate programmes for Kids and Youth (ages 3-18), all combined with the chance to relax and enjoy the wonders of the Lake District. A Christian event taking place over Easter. Spring Harvest is an enormous gathering of Christians of all ages, denominations and backgrounds, for a ‘week’ (5 nights, 6 days), with the same programme repeated at two resorts (Minehead and Skegness), over 4 weeks. There’s a full programme of activities, including Bible teaching, worship celebrations, seminars, workshops, sports, recreation, debates and late-night entertainment. For children, we run programmes for Under fives, 5-7s and 8-11s, and there are youth programmes for 11-14s & 15-18s. It’s about one thing: deepening your walk with God, so you return home inspired to impact your community and your friends, for Jesus. We run approximately 25 Falcons each year in a variety of settings around the country – from Perthshire to the Welsh coast to Cornwall. You can find out more about the venues and dates for each holiday here. If you are interested in volunteering, there are always opportunities to get involved. We welcome many students and other young adults who have been on Ventures themselves and other people who don’t have specific youth work skills for the many practical and technical roles to be undertaken more. We believe truth transforms lives. Therefore, we place our content on the first few pages of the most popular search engines in the world. That way, when people seek answers on the Web, we’re there with the truth at the top! We are followers of Jesus. Like Jesus, we reject many of the issues found in “organized religion” (man-made attempts to reach God through rules and rituals). We consider the personal pursuit of God as paramount in each of our personal life journeys. We also believe that ultimate, saving Truth is found only through God’s Son, Jesus Christ. Aleteia, from the ancient Greek “Aletheia”, “truth”, is a worldwide Catholic network sharing faith resources for those seeking Truth. There are 1.2 billion Catholics in the world, and more than 2 billion Christians. By uniting our forces we will be able to represent a significant international voice online, in the global cultural panaorama. Aleteia is a service in six languages: English, Arabic, Spanish, Portuguese, French and Italian. Aleteia is a project of the Foundation for Evangelization through the Media (fem-roma.org). America Magazine was born in 1909. That year, its first weekly issue was dated April 17. America, a Jesuit magazine, was planned as the American counterpart of The Tablet of London, a respected Catholic weekly review. We are now approaching our 100th year of continuous weekly publication. America is the only national Catholic weekly magazine in the United States. is a mega-site providing biblical answers to contemporary questions for all ages and nationalities with over 45-thousand files. Christian Answers is a faith ministry of Eden Communications. Strang Communications, is a multi-media communications company focused on spreading the name and fame of Jesus throughout the world through the mass media. Our company was founded in 1975 by Stephen Strang. We publish seven magazines, including Charisma & Christian Life, Ministry Today, Christian Retailing and Vida Cristiana (in Spanish). Christian Telegraph is an offshoot of invictory.org and provides Christian news from all around the world. Serge Velbovets is founder and President of the InVictory Media, Christian media-group. In its twelve years of existence, InVictory Media has become an international ministry. Today it includes the largest Christian portal in Russian http://www.invictory.org, the electronic magazine IN VICTORY which has been published since 2003 and has become one of the most influential Christian publications in the Russian language, Christian InVictory News Agency, English language Christian Telegraph News Agency, first Christian Internet Television in Russian http://www.invictory.tv, Christian Internet Network and many others media-resources. Christian Today views all denominations as equal constituents of the body of Christ and in preserving its identity as an inter-denominational Christian media source, does not promote or demote any denomination and/or Christian congregations. Christianity is an evangelical Christian magazine published monthly in the UK by Christian Communications Partnership (CCP) Ltd.
Christianity started life as Buzz, a black and white newsletter printed in London. It was formed by those affiliated with the coffee house scene of the late 1960s, who saw the rise of popular music as a way of expressing their charismatic faith. Its readership consisted predominantly of Christian believers in their twenties. Christianity Today— Billy Graham’s Legacy Our History since 1956. We’re not your typical Christian news site. Here at Christian Top News, you’ll get a short list of headlines followed by brief and fresh summaries of what’s happening around the world. We’ll also provide links to full-length credible news stories for those of you wanting to delve deeper into the issues. As Christians, we have to be connected and plugged into this world, but not everyone has the time to read a newspaper or the time to plow through tons of headlines online. We’re doing that part for you and hoping to bring you what’s trending and making waves in the world. The Award Winning Christian Press is a non-denominational site providing news and information from a biblical worldview. Established with the vision of delivering the good news and spreading the light of Christian culture through Internet media, The Christian Press provides the latest in national and world Christian news covering areas like Church, Ministries, Missions, Education, Travel, Entertainment, Health, Opinion pieces and various other Christian headlines. The Good News is the biblically based flagship publication of the United Church of God, an International Association . The much-neglected Book of Books contains good news, known otherwise as “the gospel.” The Old English word gospel, or “good spell (tale),” simply means good news. And what is the gospel? It’s the announcement of the rule of God on the earth, now and in the future. The Lausanne Committee for World Evangelization (Lausanne) is an international movement that seeks to energize churches, mission agencies, networks and individuals to respond with vigor and courage to the cause of global evangelization. Lausanne World Pulse aims to support the advancement of the gospel worldwide by providing missions and evangelism news, information and analysis through the publication of Lausanne World Pulse. PCM aims to reach Christians across all denominations that are committed to their faith and belong to a church community; People who have lapsed from going to church regularly, for whatever reason, but who regard themselves as Christians; People, who believe in a God and are sympathetic to Christian values, have no background of church going but sense there is more to life than material things. More than 50,000 small-group leaders and pastors trust SmallGroups.com to provide high-quality, relevant, and multi-model resources that will make their groups more effective by supporting, training, equipping, and inspiring them. You’ll find hundreds of free articles on the site, helping you and other small-group leaders stay informed on topics that affect small-group ministries. SOON Ministries is based in England and does not belong to any particular church grouping or denomination. We have friends and supporters in all the main Christian church groups. We hope our pages will cause you to think about some of the most important questions in life. An Evangelical, pan-denominational newspaper based in Washington, D.C. Launched as an online publication, the newspaper was founded in 2000 to deliver news, information, and commentaries relevant to Christians across denominational lines and to bring greater attention to activities of Christians and Christian groups in the United States and around the world. is a British Catholic weekly journal that has been published continually since 1840. It reports on religion current affairs, politics, social issues, literature and the arts with a special emphasis on Roman Catholicism while remaining ecumenical. It is committed to the teaching of the Second Vatican Council. is a monthly magazine published in the UK with ideas, resources, inspiration and guidance for those engaged in Youth Ministry. 1. We call on our fellow Christians to practice creation stewardship out of Biblical conviction, adoration for our Creator, and love for our fellow man—especially the poor. 2. We call on Christian leaders to understand the truth about climate change and embrace Biblical thinking, sound science, and careful economic analysis in creation stewardship. 3. We call on political leaders to adopt policies that protect human liberty, make energy more affordable, and free the poor to rise out of poverty, while abandoning fruitless, indeed harmful policies to control global temperature. RTB‘s mission is to spread the Christian Gospel by demonstrating that sound reason and scientific research—including the very latest discoveries—consistently support, rather than erode, confidence in the truth of the Bible and faith in the personal, transcendent God revealed in both Scripture and nature. Reasons to Believe emerged from my passion to research, develop, and proclaim the most powerful new reasons to believe in Christ as Creator, Lord, and Saviour and to use those new reasons to reach people for Christ. One of the approaches I’ve developed, with the help of my RTB colleagues, is a biblical creation model that is testable, falsifiable, and predictive. Ravi Zacharias remains committed to his calling to represent the gospel of Jesus Christ through historical, philosophical, and moral foundations and to defend it against objectors with grace, clarity, and coherency. He has laid the framework of the truth of the gospel to millions of people in more than 70 countries, including on the campuses of some of the world’s leading universities. Word On Fire is a nonprofit global media organization which supports Catholic evangelical preaching, particularly the work of Father Robert Barron, and reaches millions of people to draw them into or back to the Catholic faith. Ten years ago, when I was a visiting scholar at the North American College in Rome, I fell into a spirited conversation with one of the seminarians about the state of evangelization in America. We both were bemoaning the fact that the “new” atheists were regularly attacking religion, and I commented that no Christian spokesman had managed to engage the enemies of the faith well on the public scene. To this, my seminarian friend responded, “Yeah, but have you seen William Lane Craig?” I admitted I hadn’t. He told me that Craig, an evangelical Protestant, was by far the most effective spokesman for the Christian point of view and that he had taken on the atheists with great intelligence, wit, and panache. 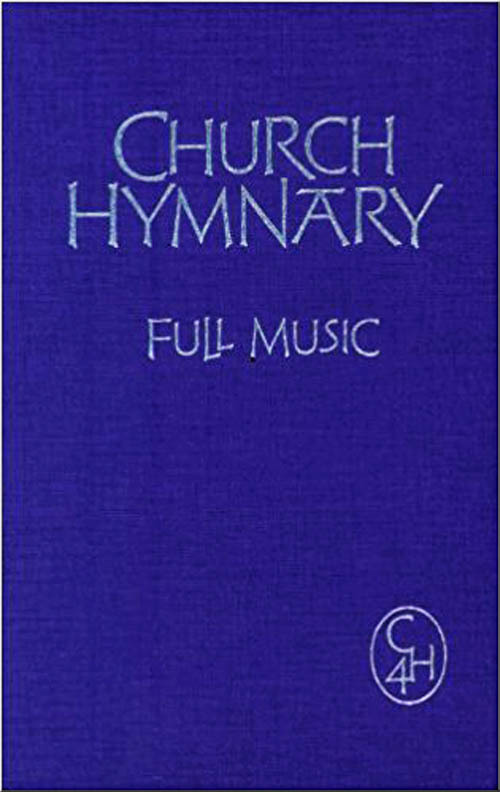 Probably the most complete resource for finding hymns, tunes, words, music scores and much other information about authors and composers. CH4 Church Hymnary, find hymns by first line. This link allows you to find any CH4 hymn alphabetically. CH4 Mymnary is available in four versions and has now become popular in many denominations. More than 17 million people worldwide have attended an Alpha course, an opportunity to explore the meaning of life. Alpha is running in tens of thousands of churches of all denominations across the world. Founded in October 1989, the Biblical Seminary of Brussels is a warm-hearted, Christ-centered learning and missional community, a fellowship of believers committed to following Christ. Christian Education Europe (set up in 1989) promotes biblical Christian education in the UK and Europe, thereby helping nourish a generation of young people who, as it states in Psalm 1, “will be like trees planted by the rivers of water”. Churches and other groups of Christians are assisted in setting up and maintaining successful, firmly established Christian schools and home schools. CTS is an international Pentecostal Centre for Theological Education in Europe, located in the picturesque town of Sint-Pieters-Leeuw near Brussels. Our students come from many nations and various denominational streams. The seminary has been training men and women since 1959. We offer a wide range of courses for you to choose from. The academic degrees and diplomas, which Continental Theological Seminary grants, conform to Belgian legislation on higher education. Additionally, the academic programs of the seminary – BA (Hons) in Bible and Applied Theology, and MTh – are validated by the Federal University of Wales, UK. The Dove Series is a 15-lesson training manual and DVD collection to equip teachers with the fundamentals of running a Sunday School Classroom. The new English version of The Dove Training Series was released at the Global Children’s Teachers’ Summit in Bratislava, Slovakia which was held in September 2009 and included children’s ministry leaders from throughout the world. Since the release of the Sunday school training curriculum, we have received many requests for worldwide training. is located in the Heverlee district of the historic Flemish University City of Leuven just 19 kilometers East of Brussels. The availability of the theological and other libraries alone (over 5 million volumes) makes its location one of the most attractive places for theological study and research. Both the ETF’s state recognition for its degrees and the evangelical persuasion of its scholars serving on the faculty placed the ETF in a unique position on the European continent. Though ETF is primarily European, it welcomes faculty and students from elsewhere for the purpose to strengthen the evangelical churches on the continent and even world wide. 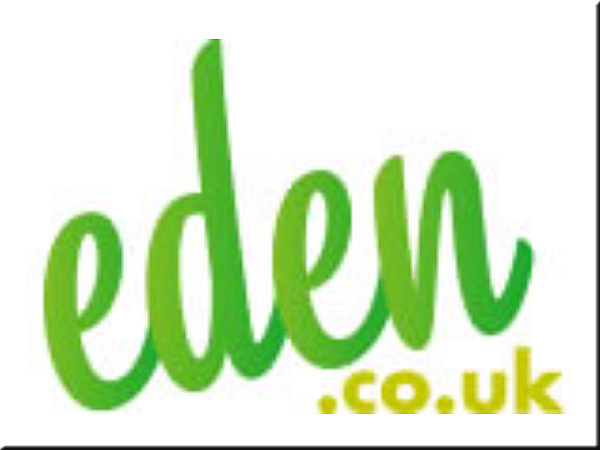 is a creative and imaginative approach to Christian nurture. It can be used in a variety of settings; churches, schools, hospitals, care homes for the elderly, not only for children. Godly Play uses symbols and objects as well as words. Godly Play encourages people to make meaning for themselves. Our mission is to nourish the spiritual and moral development of children through training and educating teachers, conducting research, and writing about Godly Play®. Founded in 1982 by John Stott to equip Christians to make a radical difference for Christ in the contemporary world – in their workplaces, neighbourhoods, schools and colleges. LICC today acts, nationally and internationally, as a champion for whole-life discipleship and for mission ‘wherever you are’. This Churches Together Logo is intended for use on websites or published materials where it is accompanied by text “English-speaking Churches Together in Brussels” or “English-speaking Churches in Brussels”. To copy, click on logo, copy and paste or Save image as.